"You can’t just ask customers what they want and then try to give that to them. 1. No way to resize "Lines" section. 2. No way to navigate between "tabs" without a mouse (forget about standard "Ctrl+PgDn/Ctrl+PgUp" combinations). 3. Many areas are not accessible by keyboard. And "The Ribbon"... Such a wasting of space... Yes, it looks nice, but... completely useless in terms of screen space optimization. BTW, how to change ribbon's colour? Where is "big button" like I can see in Excel and Word? So don't forget to include minimum monitor resolution 1280x1024 in hardware specs. Do not forget that you can hide whole FastTabs through the "Customize this..." and make mre space for line fasttab etc... because how many people needs all the fasttabs? Just tested national characters in company name (not "Company Information"!). Of course, it always was a bad idea to use non-latin characters in company name (like in any "Code" field). But it works. So if company is "CRONUS Россия" (russian) then you can use "CRONUS_Россия" in WS' URL (personally I don't like national characters in URLs). 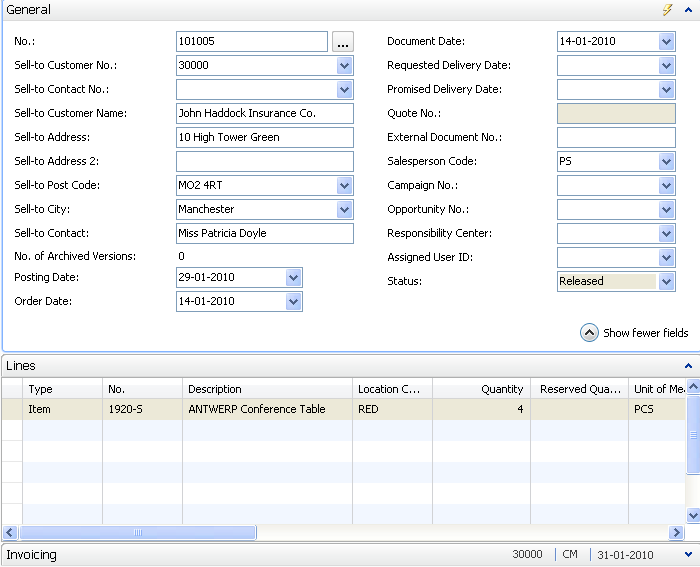 Even NAV2009 W1 has problems with Russian letter "a"... 21st century! The background is still same, it means same problems like in classic client... until the background (the DB communication libraries) will be replaced with something better, there will be no change. Ok, "_Service" actually is "_PortClient"(?). But where is "UseDefaultCredentials" property!? What I'm doing wrong? I'm getting WS authentication errors for any "security mode" and "clientCredentialType" (app.config) combinations. I have no such property after creating "Service Reference" in VS2008 inside VPC. 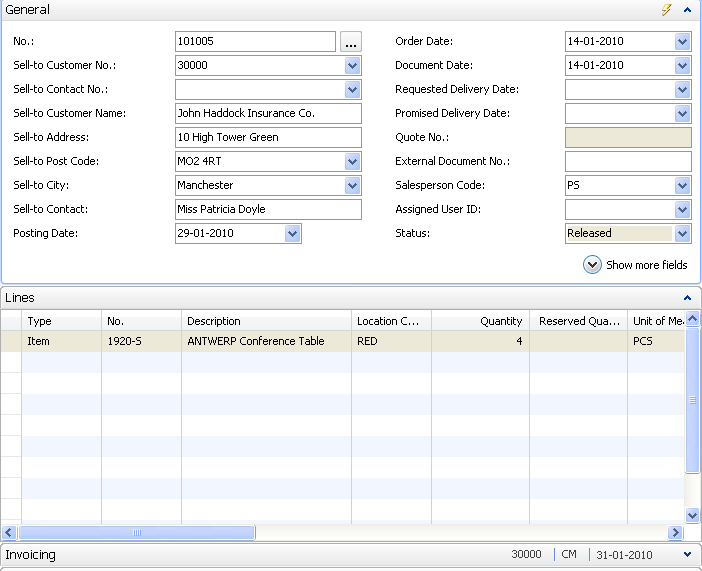 Where NAV2009_Customer is the name of WebReference and Customer is name of the webservice in NAV. 2) This step depends a bit on whether you use VS2005 or 2008. In VS2005, just rightclick on "References" in the Solution Explorer, and select "Add Web Reference". 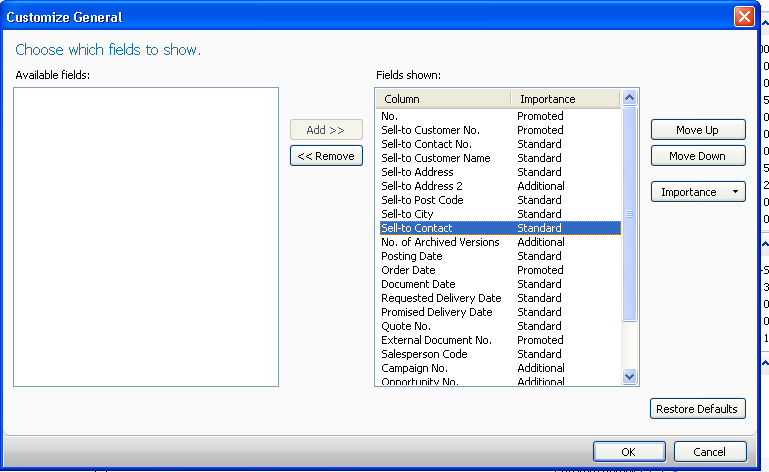 In VS2008, to get to the same place, rightclick on "References", then select "Add Service Reference", then click the Advanced button, and then click the "Add Web Reference" button. Why? Tell me, why? Why to tell "we are using WCF" if actually "result" isn't compatible with... WCF itself? PS: Will links to several "blogs" replace documentation and manuals for future products? What if I will not have access to the internet? Project will die? First post here on mibuso, so I hope the images will turn out right. From this page the user can hide fields and / or set the importance of fields. This posting is provided 'AS IS' with no warranties, and confers no rights. You can run your own service tier on your computer. It doesn't need to be the server service tier. You only would use it in extreme cases. BTW, how many "service tiers" I can install on single development workstation? Currently I have 5-8 completely different local databases on my PC. What about "team development" using single "development server"? You can run as many NAV Servers on a single box as you'd like (theoretically!). each of them will take it's own amount of memory and run it its own process being connected to different (or same) databases.